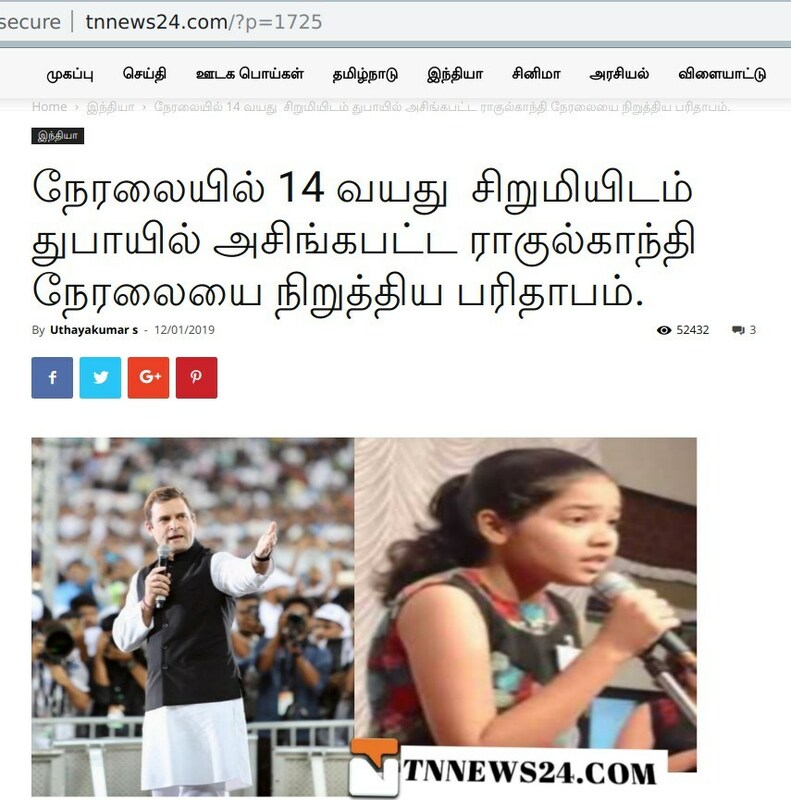 An article with the headline “Rahul Gandhi dumbfounded in Dubai by little girl’s questions” was uploaded on the My Nation portal. The article had no video to support its claim. However, in no time, the article started doing rounds on social media, with additional Reserve Bank of India (RBI) director Gurumurthy and fake news website Postcard News sharing the news article. Alt News found that the claim originated from a Tamil website, which had been then picked up by My Nation. 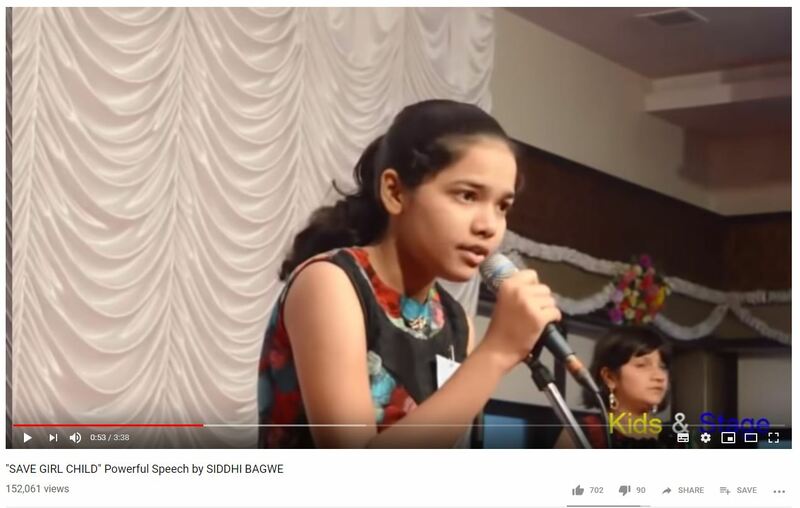 Using the reverse image search, it was found out that the image of the girl used by the Tamil website dates back to 2016 and has been taken from a Youtube video titled “SAVE GIRL CHILD Powerful Speech by SIDDHI BAGWE”. The description of the video mentions that the video was shot St. Joseph’s High School in Vikhroli, Mumbai. The Congress President addressed one public event at a stadium where he addressed Indian diaspora. In two other events, Gandhi spoke to IMT University students in one and the workers at the Labour camp in the second. During his interaction with Indian diaspora, the Congress Chief took no questions from the audience. The event was broadcast live. During his interaction with students, Gandhi did take questions from them and addressed them briefly. Again, the event was broadcast live, and no question from 14-year-old can be seen in the session, as claimed by the My Nation article. Neither did the third event where he interacted with the workers at the Labour camp saw any 14-year-old girl asking him questions. Later, My Nation updated its story and mentioned that the question was asked during a private event where Rahul Gandhi interacted with children. However, on his two-day visit to the UAE, Gandhi has no such interaction. There was no such event organised in those two days.